So, a seventh CHUCKY (or CHILD'S PLAY, rather) film is happening. 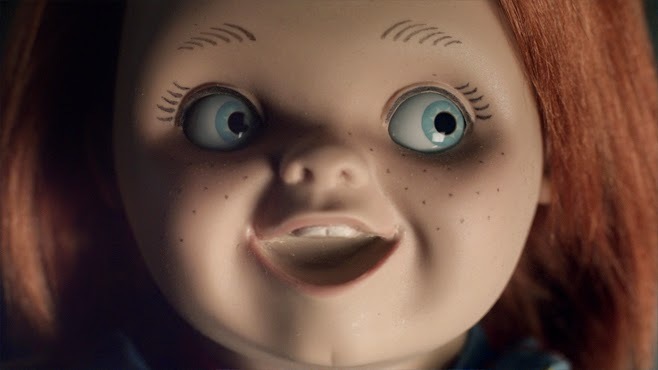 I recently got a chance to speak with creator/writer/director Don Mancini and when I asked about the status of CHUCKY 7, his response was simply, "I can't say anything yet!" Now, if a movie wasn't going to happen, then I'd see no reason for any person(s) involved to remain tight-lipped. But Mancini is doing that. Which pretty much confirms that he is busy working on a story for CHUCKY 7. Where should the ever-evolving story of Chucky go after the events of CURSE OF CHUCKY? Looking forward to a new chucky! If you look at Don Mancini's Twitter account he mentioned this month's ago! Yes he did. And when I spoke to him, he basically just verified that it is still an active project of his.